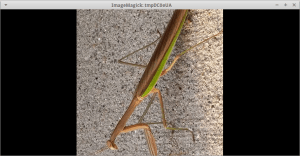 In this post, we take a look at how to quickly and easily rotate and mirror your photos using a simple Python script. Read on for the details. 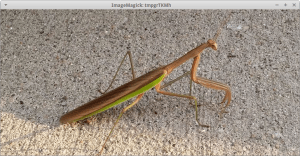 In the example above, we rotated the praying mantis 90 degrees counter-clockwise. You can also use one of Pillow’s ROTATE constants here too, but we’re focusing just on the mirroring aspect of the transpose() method. Try swapping in one of these other constants into the code above to see what happens. Now you know how to use the Pillow package to rotate and flip/mirror your images. Python makes this sort of thing quite trivial to do. You should give it a try and be sure to check out Pillow’s documentation to find out what else you can do!